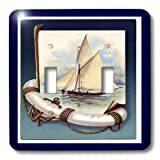 Add a decorator switch plate in a nautical theme. You find ships and boats that are fanciful, artistic, even historic for your wall. It's the easiest DIY project ever! 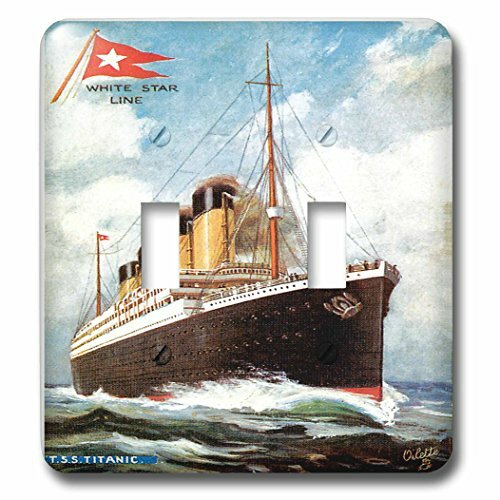 Quickly and easily add to your nautical decor with light switch covers featuring boats or ships. It's as simple as removing your wall plates, and attaching the new ones using the screws that come with them. Artistic? 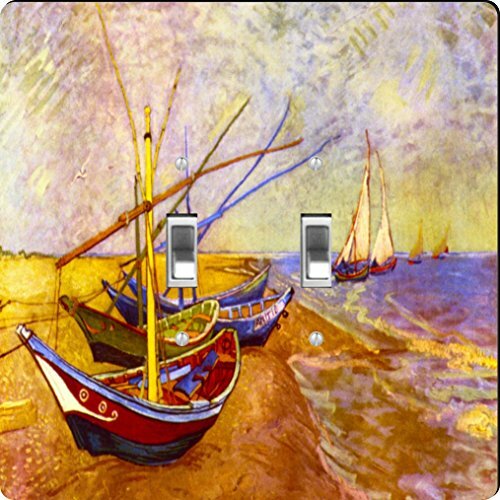 Yes, boat paintings have been done by many famous artists, and today, we can have little pieces of boat and ship art surrounding our light switches. 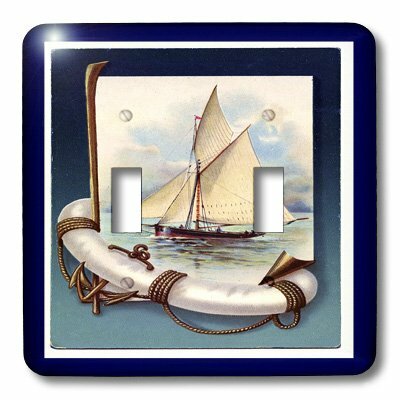 Even if you don't have a nautical themed decor, boat and ship light switch covers can add an artistic feel to any room. For kids, there even are special nautical wall plates covers featuring colorful tugboats and pirate ships for boys, and pink sailboats and fairy boats for girls. Image from Amazon.com - see below for more info. 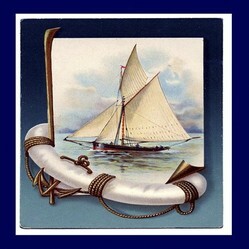 Boats and boating have long been a favorite subject of artists, and are a favorite theme in home decor, as well. hips and boats seem to fascinate many of us. So, it is no surprise that there are many famous paintings with boats in them. If you visit any museum on earth, chances are, you'll see at least one boat painting. This particular one, an oil on canvas, called "Boating," by the French artist Eduardo Manet (1832-1883), is on public display in the Metropolitan Museum of Art in New York City. Shown above is a beautifully executed design that will look lovely in any coastal or nautical decor. 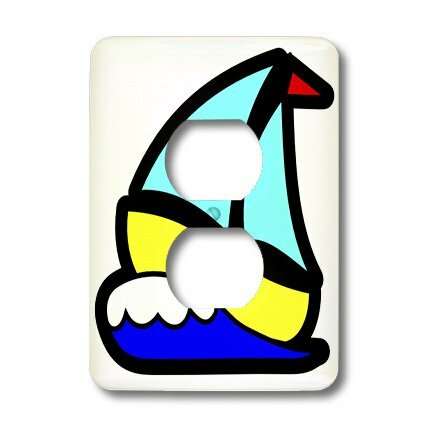 This pretty nautical design is available for both single and double toggle switches, as well as in electrical outlet covers. Small boats, fishing boats, sailboats in beautiful color pallets will add a pretty nautical touch to a plain wall. Boats come in so many shapes and sizes, built for so many purposes. There's a lot of choices in boat themed switch plates! When haven't young boys been romanced by the sea and fascinated by boats? This painting, by American Homer Winslow, is hard evidence that the appeal of the sea was certainly alive and well in the late 1800's. Boys were dreaming of going to sea then, and liked to pretend by sailing their little toy boats. This oil on panel, titled "The Boat Builders," showing boys building toy boats, as they sit near the sea, while a real boat sails nearby, is part of the collection at the Indianapolis Museum of Art. Sailboats were a popular them in 1873, when this work was created, and they remain so today. What's the difference between a boat and a ship? Do you know? Here's a picture of a Cruise Shipcarrying Life Boats. Does that help? As the old saying goes, a ship can carry a boat, but a boat can't carry a ship. Boats stay By the shore. Ships (generally larger vessels) are made to carry cargo and/or people from land to land across the sea, while boats travel mostly on rivers, lakes, and close to shore in the ocean. There have been several famous ships named Sovereign of the Seas. One was this clipper ship built in 1852. She set several clipper ship records, all of which apparently still stand to this day - well over 150 years later. On one occasion, the Sovereign of the Seas broke the record for the fastest eastbound transatlantic crossing. She sailed from New York City to Liverpool England, in a mere thirteen and a half days. Another record was for the fastest speed recorded for a clipper - 22 knots. This record was set in 1854. She was so big, in fact, that some people wondered if she would actually float. She was so revolutionary that the cruise line wanted a fitting name for their grand lady. So, another Sovereign of the Seas began to sail. She still sails today, over 25 years later, tough under a shortened name. She's now called MS Sovereign. Though she's been transferred to another fleet, in another country, I'd eagerly sail on her again, given even half a chance. Guess it's true that your first will always be special. Replacing a light switch cover is probably the easiest little project there is. Virtually anyone can do it. You don't have to be a 'handy person' to do it, and it only takes a few minutes. To see for yourself, just watch this how to video... You'll become an expert switcher outer in under two minutes. When you are sprucing up the part of your wall that contains your light switches, don't forget to look down near the baseboard, or just over the kitchen and bathroom counters. 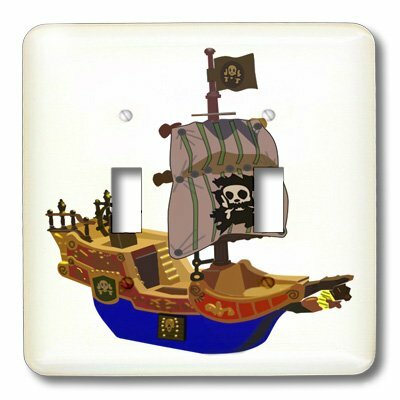 Yes, there are electrical outlet covers to match those wonderful wall plates with ship themes. Don't forget the kiddos, either! These fanciful boats and ships are sure to please a little one. Children will love these little nautical touches in their rooms. 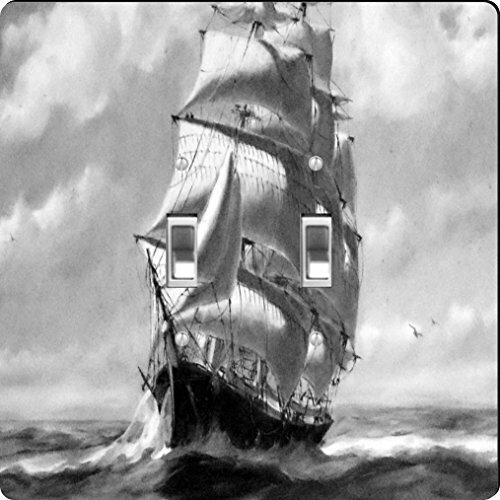 Boats and Ships on wall plates for light switches and electrical outlets are in some cute desitns sfor double and single switch plates, and standard electrical outlets, as well as for rocker switches and GFI Outlets. Most of them are easily cleaned with a damp cloth or a mild spray cleaner. 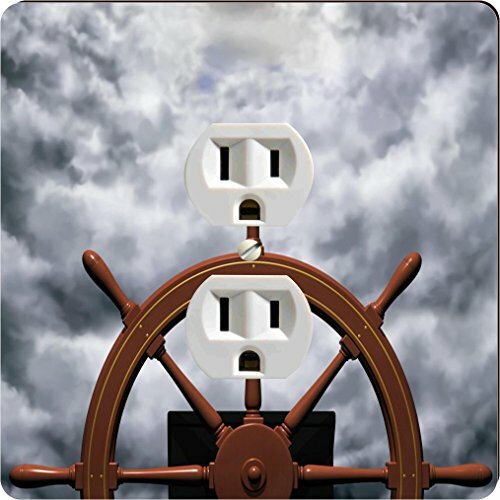 CruiseReady, Outlets and switches ultimately acquire smudges since they sometimes have to be accessed with other than the cleanest of hands. Do these lovely specialty covers require special cleaning? I have never seen electrical wall plate before - I should definitely spend more time outside of my apartment ... Thank you for this beautiful presentation. I particularly like images of impressionists. Considering their obsession with light, plates for switches somehow seem even more appropriate. Thank you, lindylou2! I am one of those people who simply can't get enough of the water- being near it, on it, or in it makes me happy, and that also means I have a natural curiosity about all things nautical. Thank you, dustytoes! It's so nice to be out on the water. Almost as nice as being in it. @bkacjspanielgallery - yes, that's a particularly nice one. I love boating. You have a nice selection of nautical items here. I like how the outlet blends with the clouds. Add a fun nautical touch on your holiday tree - hang a a sailboat, cruise ship, fishing boat, tugboat or other boat Christmas ornament on a branch or two..